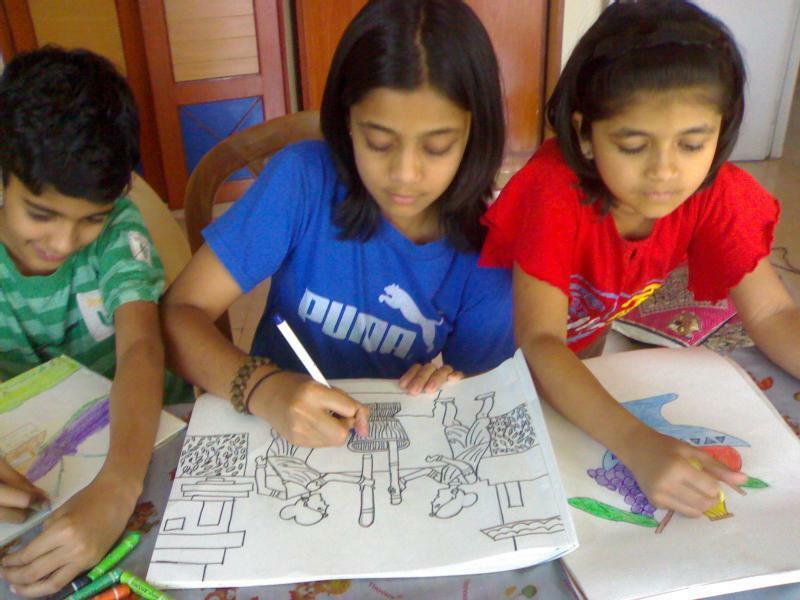 Colour Palette offers systematic Courses in drawing, painting, Hand writing improvement courses for children 4 to 15 years. 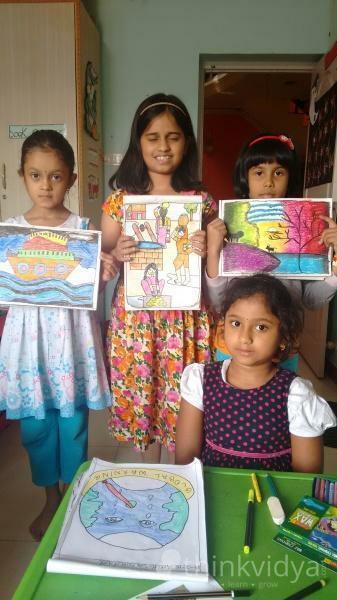 We prepare them for elementary drawing exam too. 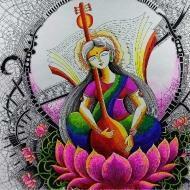 We offer hobby courses for ladies also. 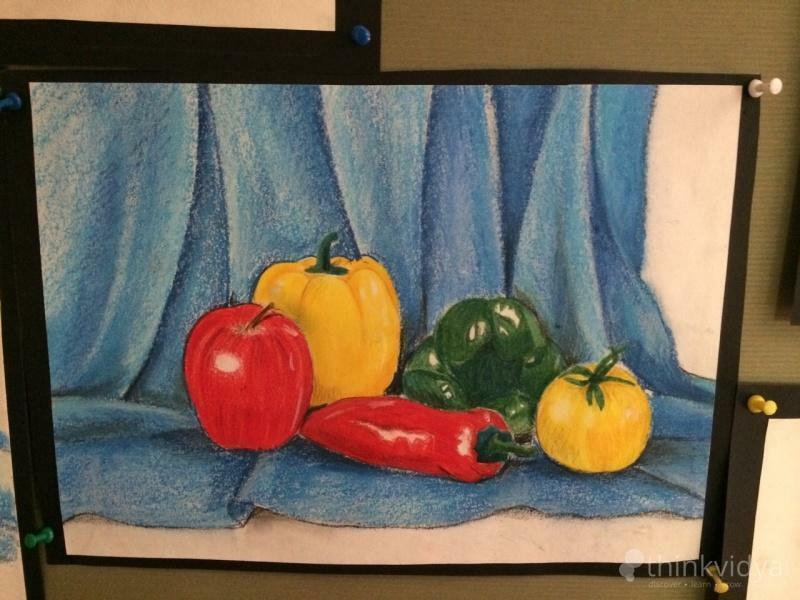 In Drawing class, We follow level system and focus on different areas of drawing plus coloring and give fundamental knowledge of that particular area like basic sketching, people (Composition) drawing, theme based etc. 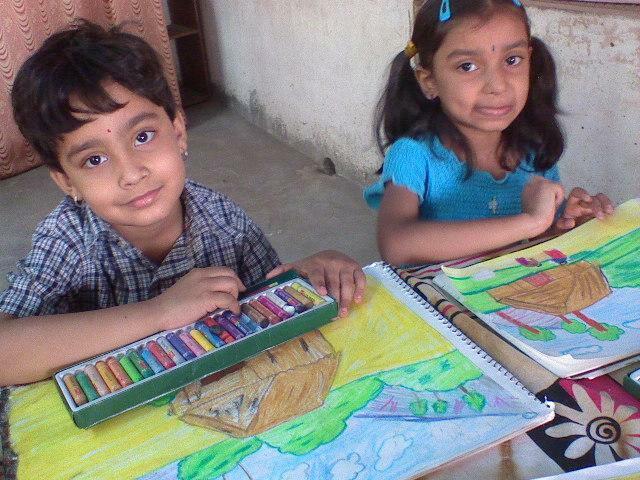 They will use different coloring mediums like wax crayons, pencil colors, oil pastels, water colors, oil and acrylic painting etc. 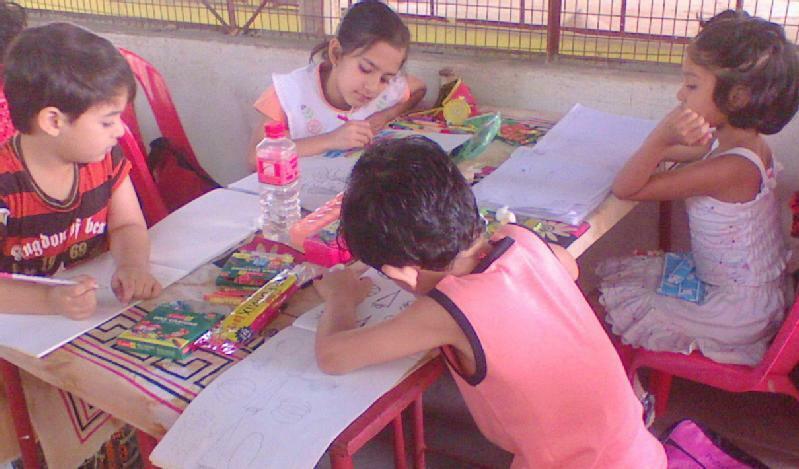 Not only learning but we do believe that a child should show his/her talent through various competitions and exhibitions. 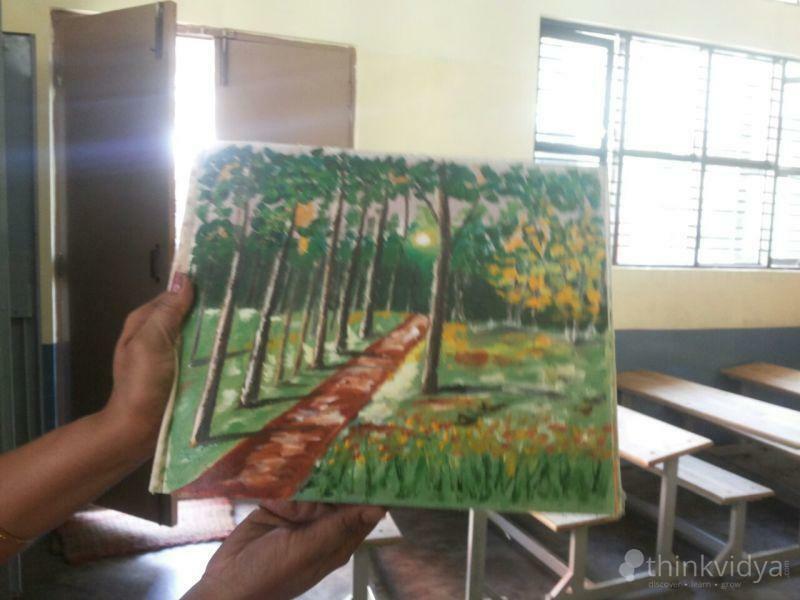 Providing an encouragement platform, from our institute We send them for various Drawing Competitions conducted city level, state, national level through out the year. 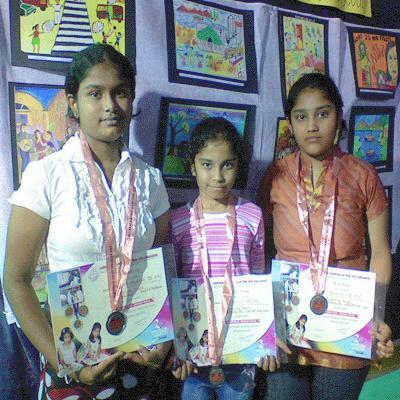 Every year our children get awards and medals in competitions and become more confidant. 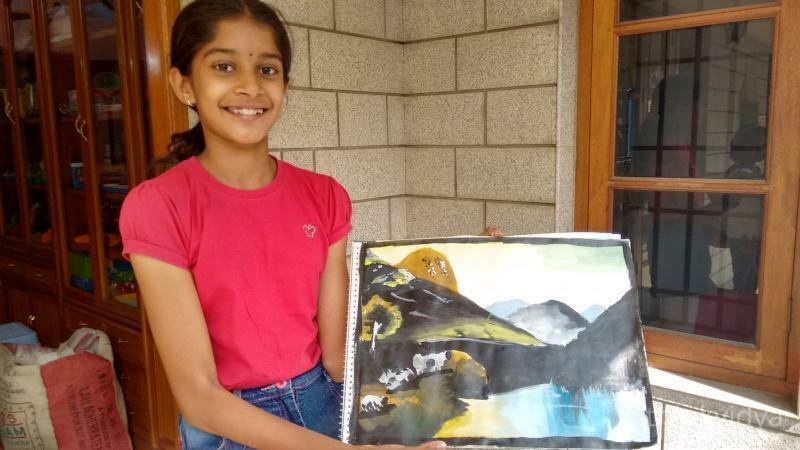 We do have our inter branch competitions after every 3-4 months where all students from our branches across Bangalore will participate and will show case their talent to outside world. 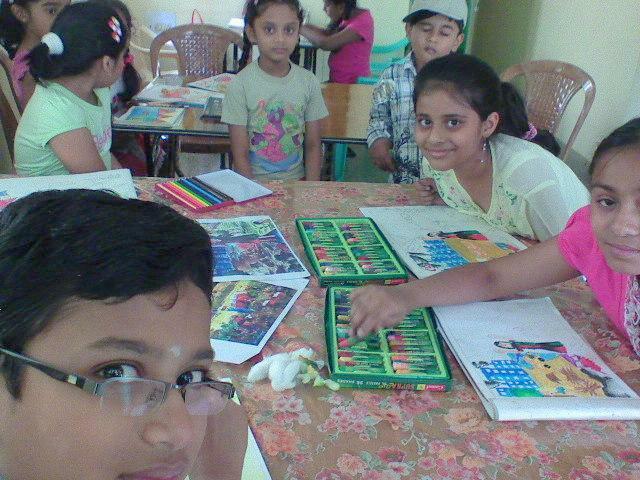 Apart from drawing, For above 6 years, we have a unique Hand writing improvement course in English and Hindi. Our focus on this course is to increase the speed in cursive writing as well as in Hindi with neatness and accuracy. 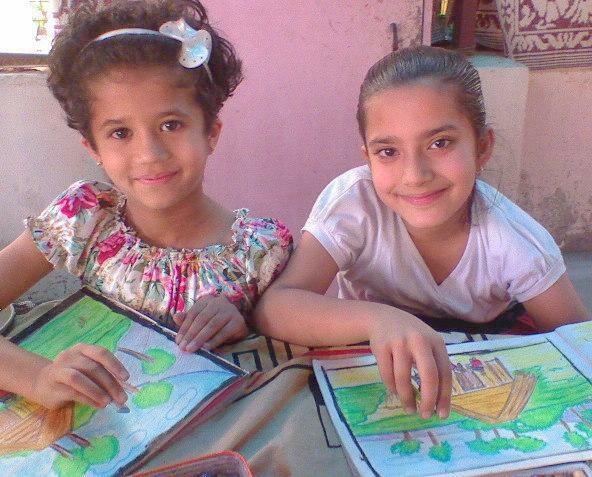 They enjoy the course with competitions in good hand writing with other kids in group. 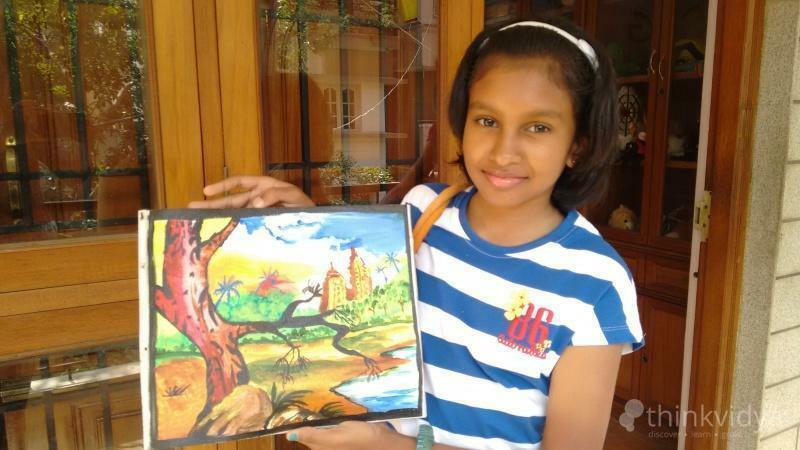 "Forum Joshi and Sunitha madam both very talented and experienced tutors for different varieties of art forms related to Drawing and Painting and my kid love to attend the classes, and she is been attending from past 2 years, has shown consistency and good improvement so far. " 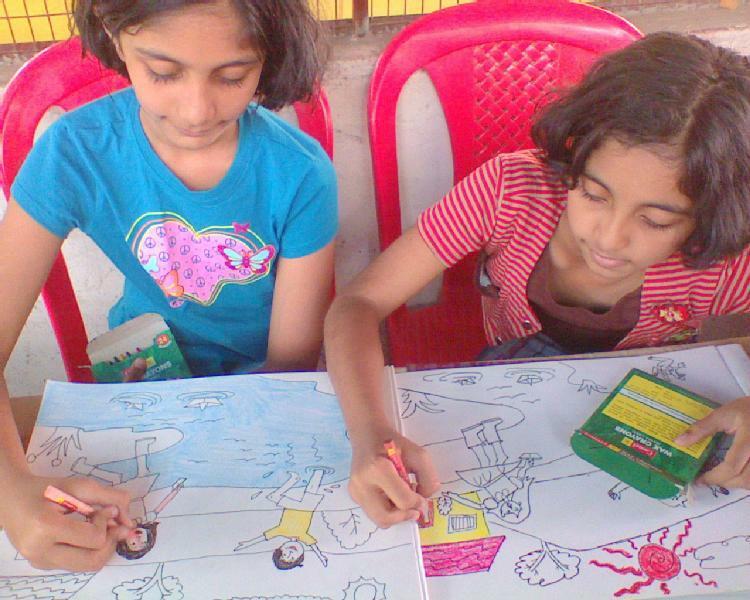 Mrs. Foram Joshi conducts classes in Art and Craft, Art and Creativity and Drawing. 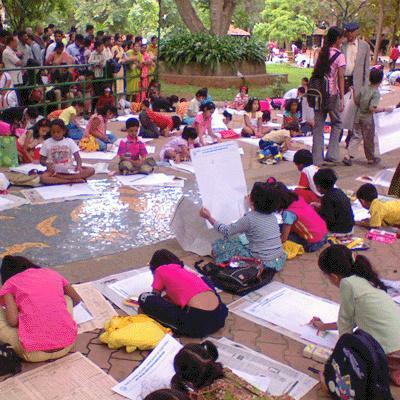 It is located in Jayanagar East End Main Road, Bangalore. It takes Regular Classes- at the Institute. It has got 1 reviews till now with 100% positive feedback.